.....the thesaurus' word for project. Well, here is my latest undertaking. It's a big quilt and I don't do big quilts on my sewing machine. I'm kind of done with those for now. I only have 3 friends, so I can move on. You are always so busy! Where does one even find NICE vintage sheets? You only have three friends - yeah RIGHT! You have fortunate friends because you gift them with such pretties. 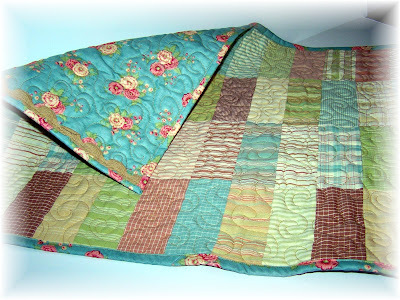 So the quilting done on the table runners has been on your sewing machine? I thought you were able to use your friend's long arm. 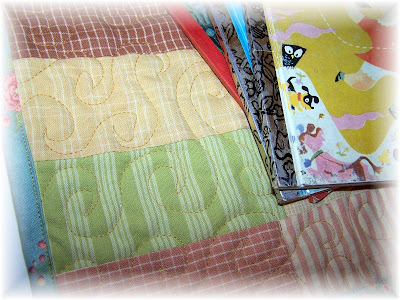 Just mentioning that because I am working up my nerve to PRACTICE some quilting on my machine. 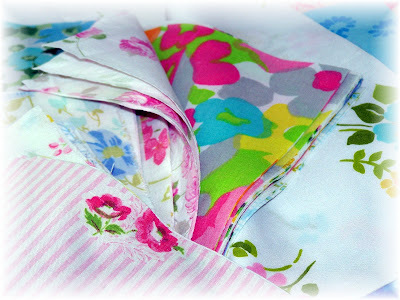 I can't wait to see the BIG Vintage Sheet and Pink quilt. BEAUTIFUL WORK! That's all I gotta say! You sure are talented! very nice! and i love the runner. I guess that my friend tablerunner is still in the mail. Looking so forward to it! Can't wait until it arrives. Wonder what color she made me? Will it have rickrack on it? You know me and blue - cant live without. HUMMMMMMMMMMMM?????? Love that runner. 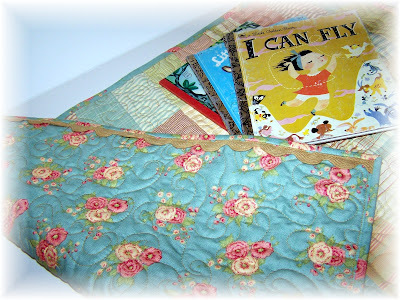 Where do you send your quilts off to be quilted? Is it expensive? 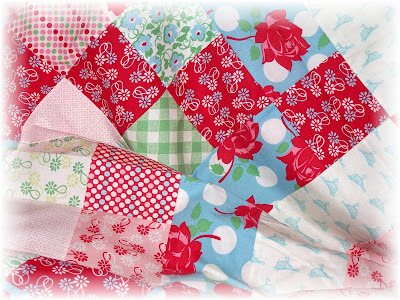 Oh my I love the quilt, I think I would tie that one, the fabrics speak for themselves. You know what i find at my GW, nothing! !, there are to many quilters around my home!! I can't wait to see your quilt when its finished. It looks REAL PURTY!! The tablerunner is also REAL PURTY!! Where do you find the time? I can barely keep the laundry done, the house halfway clean and the family fed. I want to be just like you when I grow up (if I ever do). I love all the colors. They are so bright and cheery! So. . . if those are your undertakings, are you an undertaker? 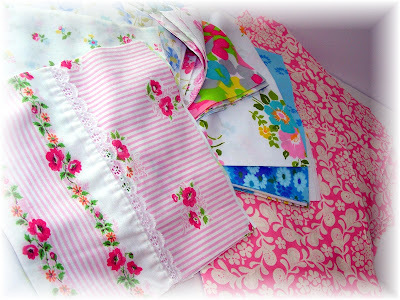 Vintage sheets - one more kind of fabric to love. what lovely undertakings!! :) how do you get so much done?? Now that's the trick. To get my undertakings to the finishable part. Love your tablerunners. You inspire me. You always do such beautiful work. I can't wait to see your finished pieces. I'm sure they are awesome! I too am amazed at how much you get done! all of your ingredients are pretty. i love those table runners. very sweet! i have an idea for a quilt and i'll post some pics and let you know when its done, but i might have a question about how to tie it. i'm hopeless!